Due to the combination of sun/UV rays, water, oil and everyday wear and tear, pavers are prone to lose their luster and visual appeal if they are not properly cleaned and maintained. 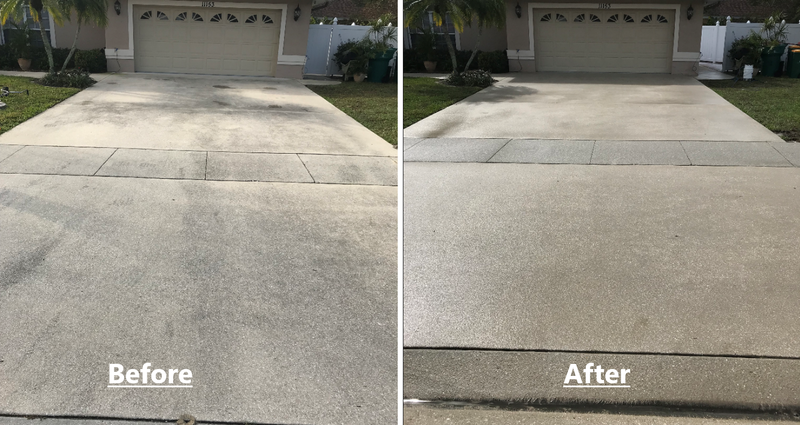 Fortunately, McBride Pro-Seal is a professional power washing company in Naples, FL that can help make sure your pavers are always looking their best. We offer a variety of services, including power washing services that will leave your brick surfaces looking good as new. Whether it’s mold, fungus or other unwanted debris, we’ll help you restore that natural brick look most homeowners strive for. After a thorough power wash, we often apply two coats of sealant, and recommend that you have your pavers annually cleaned. If you have any questions or would like to reserve our power washing services in the Naples, FL area, contact us today.